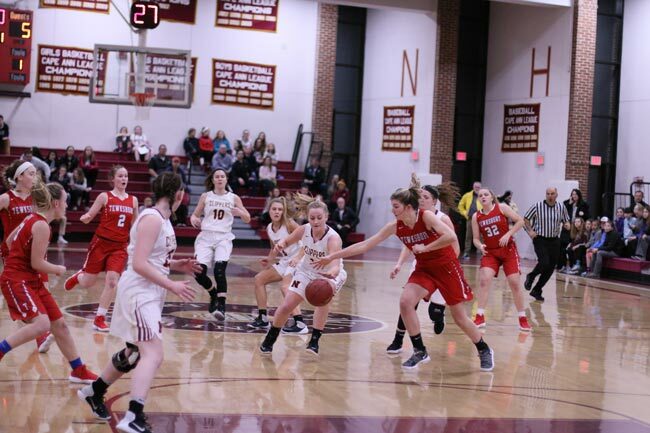 (Newburyport MA) Newburyport wins their Division 2 North tourney opener, 59-47, over Tewksbury on Monday night at Newburyport. 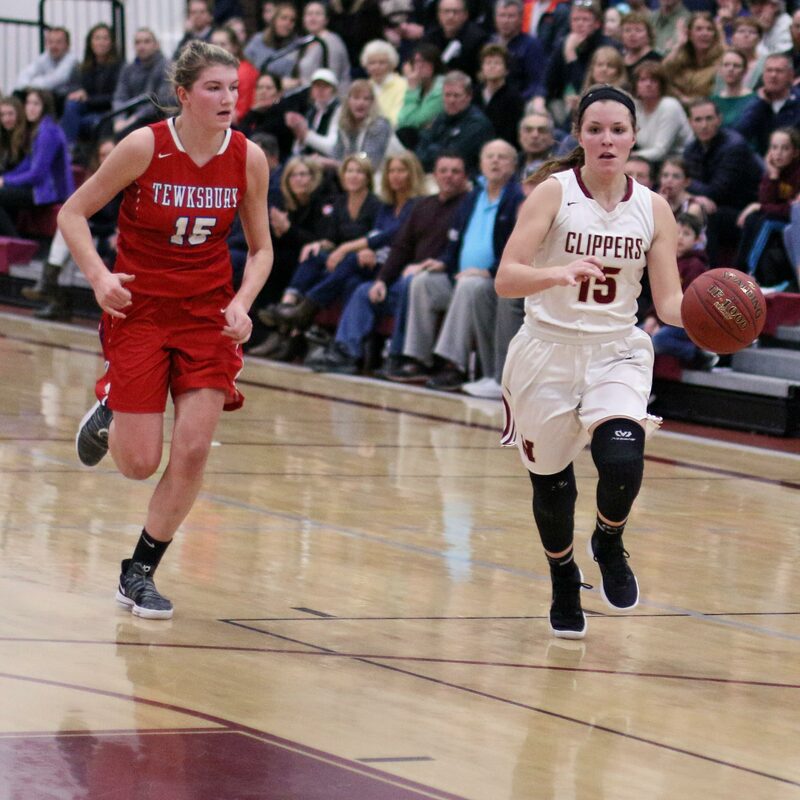 The Clippers were led by Anna Hickman (17 points) and Krysta Padellaro (13 points). “I thought that we played great once we settled in,” said NHS coach Gregg Dollas afterwards. 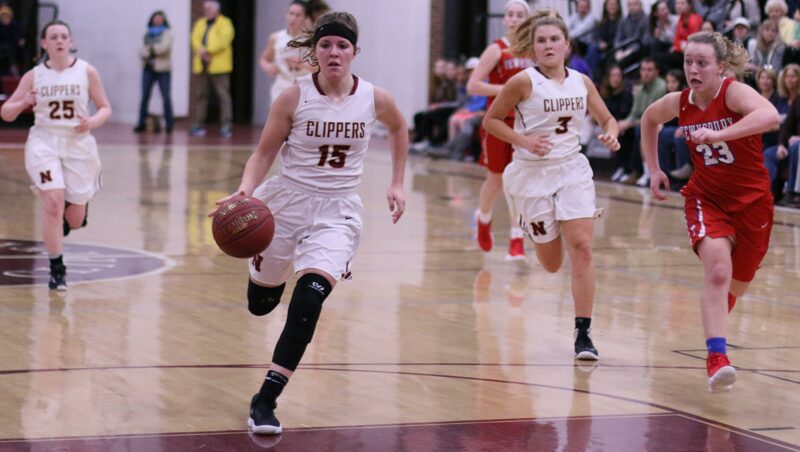 The Clippers (15-6) went down 12-6 early but recovered to get the lead (15-14) for good at the end of the first quarter on Katie Hadden’s 3-point, buzzer beater. 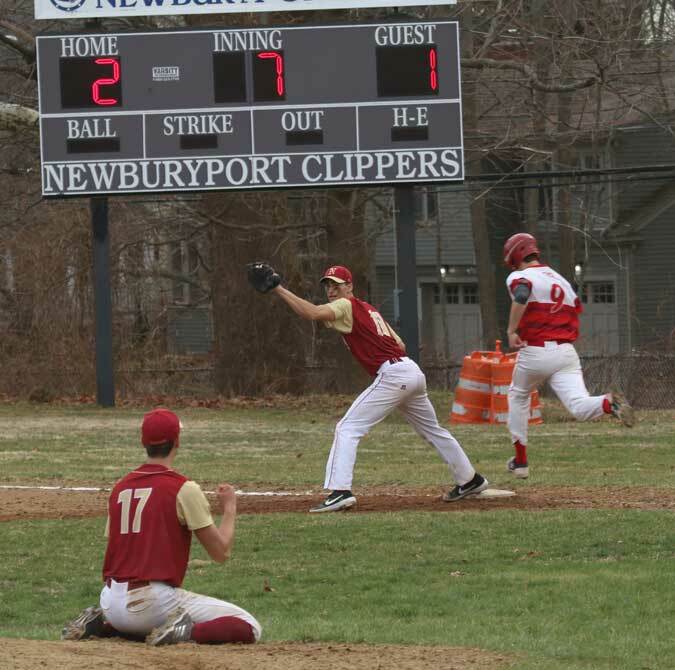 Newburyport got points from everyone that played. 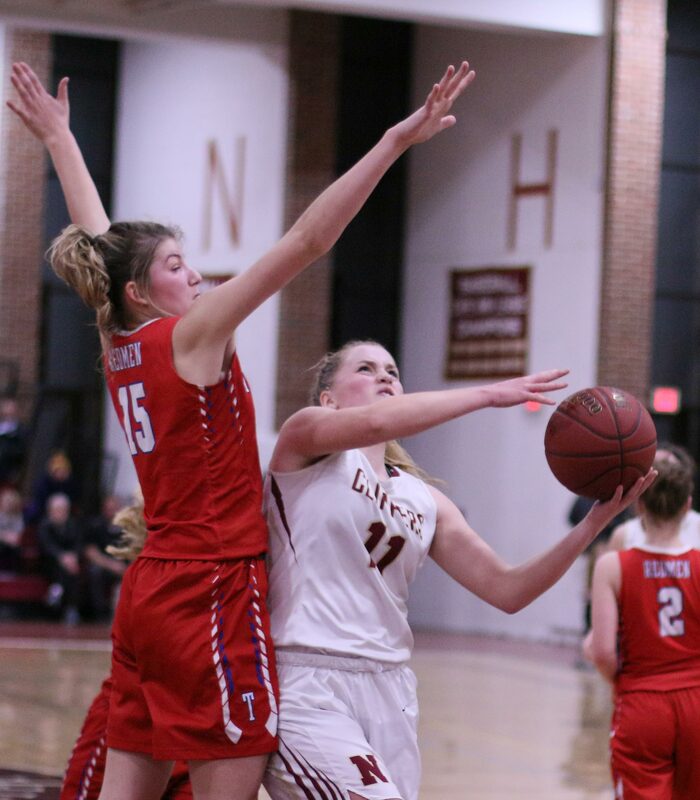 An eight-to-two run in the second quarter had points from Abi Gillingham, Anna Hickman, Maggie Pons, and Krysta Padellaro. 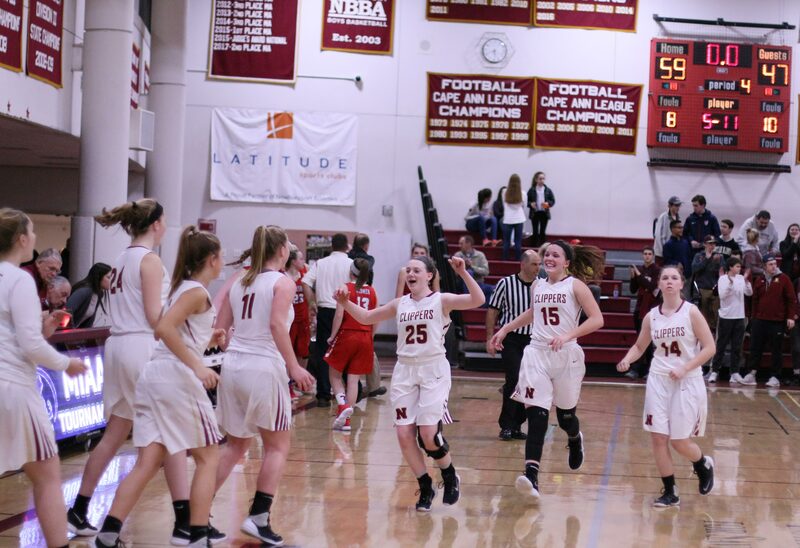 That run put NHS ahead, 28-19, with two minutes left in the second quarter. Credit Tewksbury. Down they were but not out. 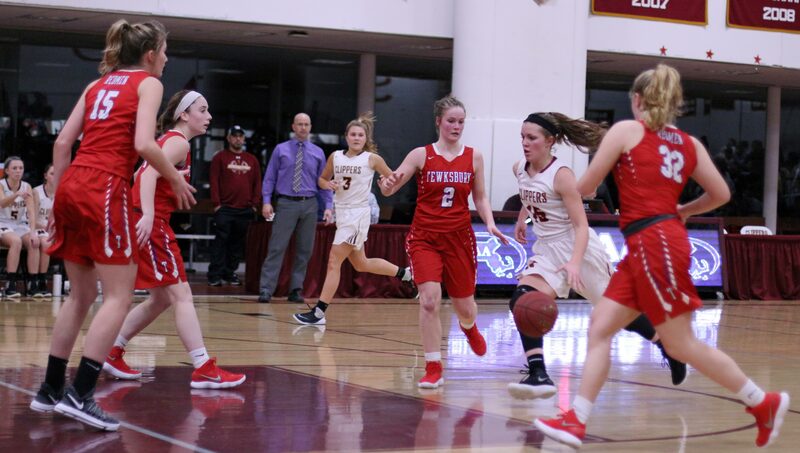 With 2 ½ minutes to go in the third quarter the Redmen were only trailing, 34-32. 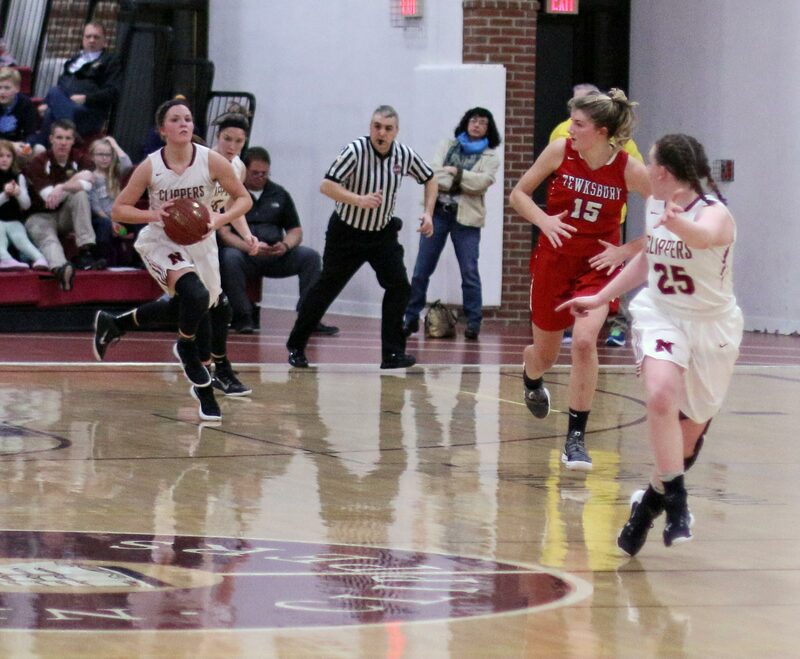 Haley Mignon and senior Izzy Picher posted five points each during the comeback. The Clippers would put a 13-2 segment together by the six-minute mark of the final quarter. Krysta was a key participant. She started things with a turn-two. 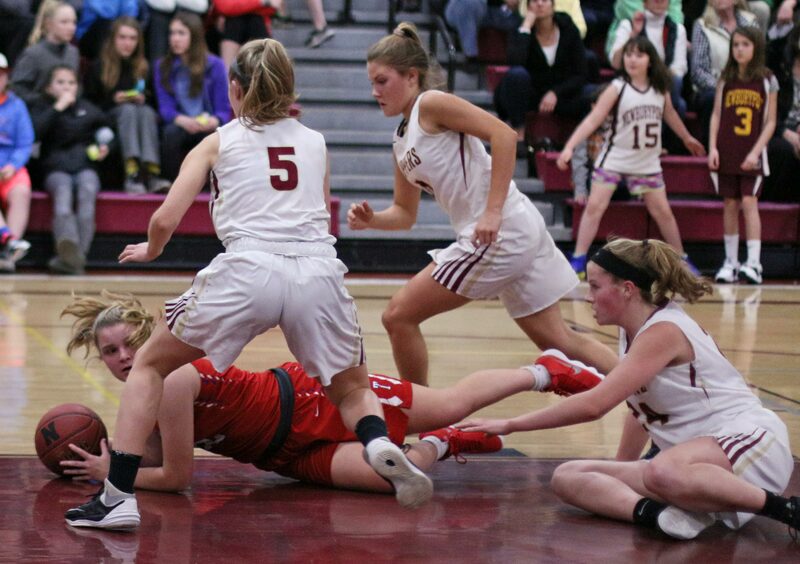 The “two” part wasn’t easy because shot blocker Allie Wild was with her step-for-step on the race to the other end. 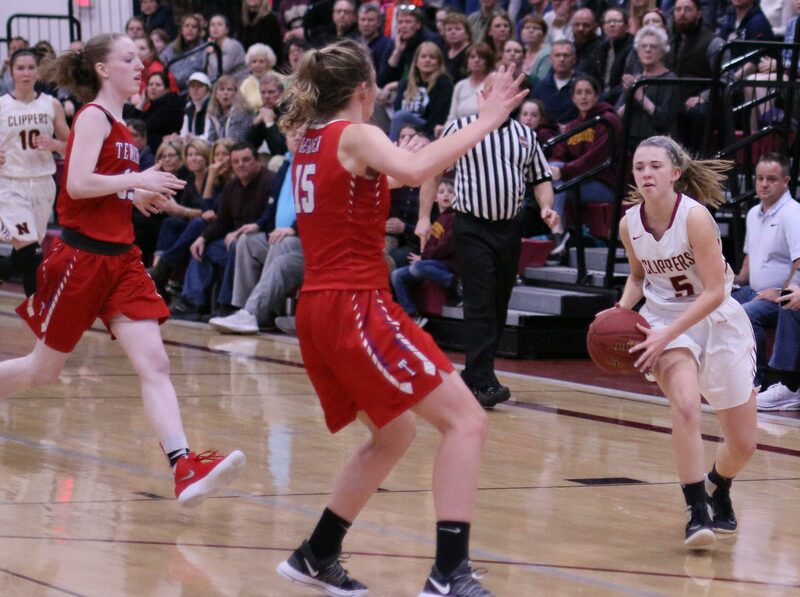 Krysta was clever enough to jam on her brakes and up-fake just before shooting and that gave her space to finish the layup as Allie ran by her. 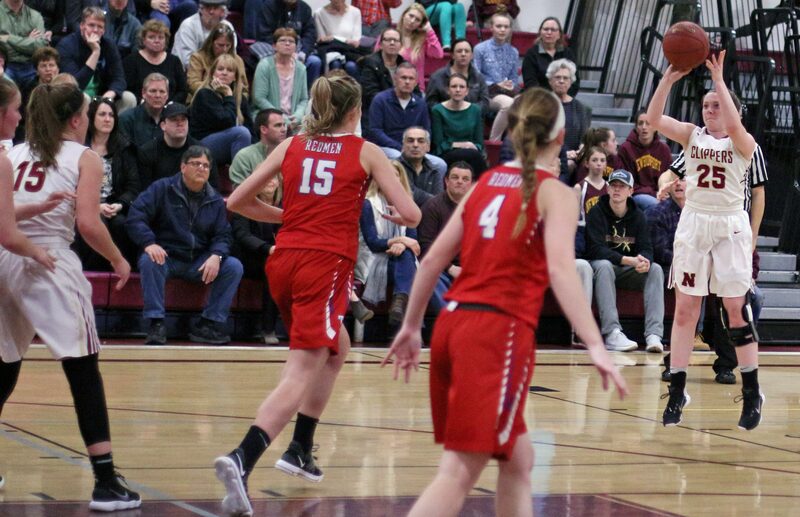 Krysta also added two free throws and a 3-pointer in this crucial segment. 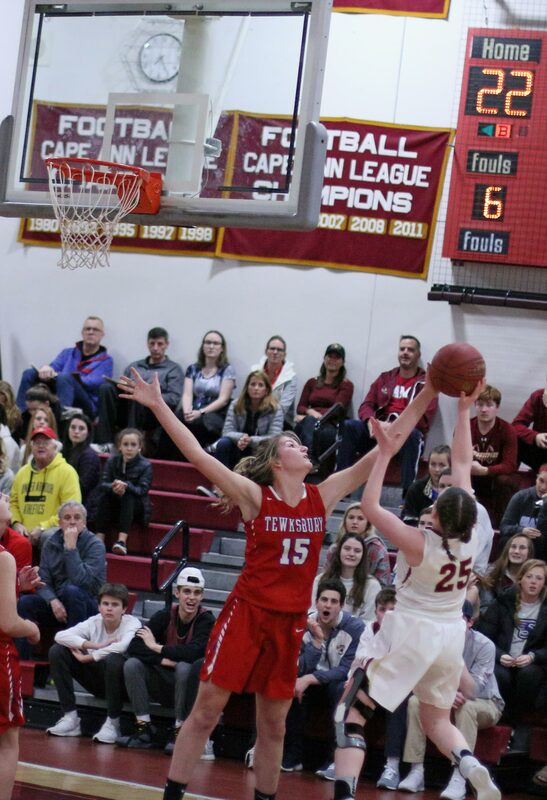 The Redmen (12-9) could get no closer than eight over the final six minutes. 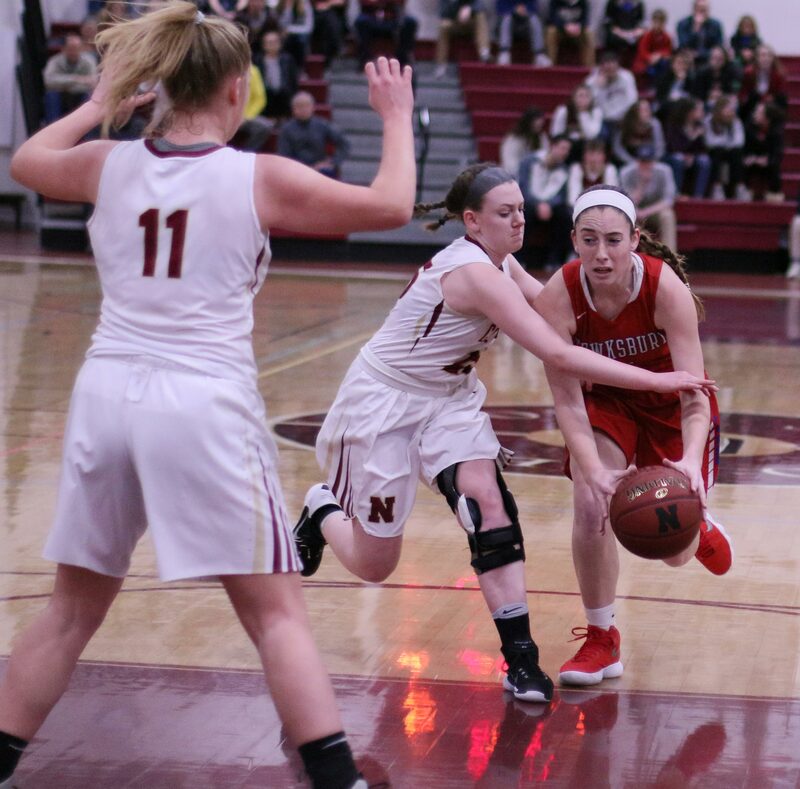 Julia Cafferty (14 points) paced the Redmen getting nine of those points in the first half. 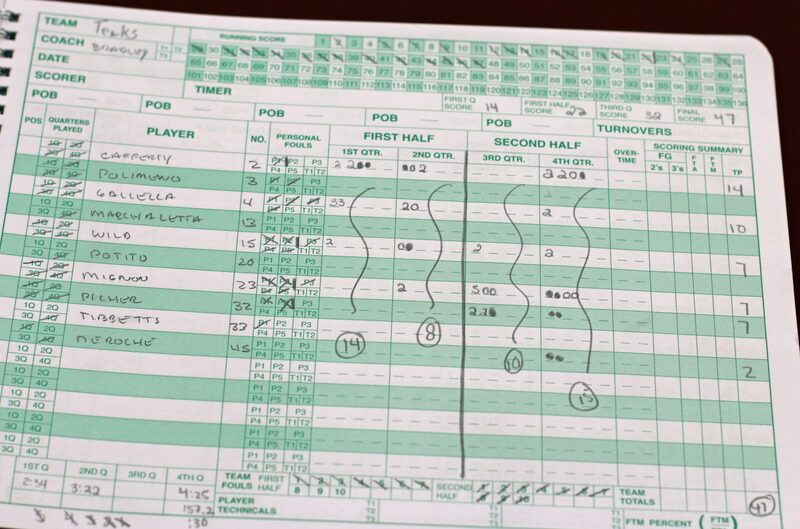 Erin Gallella finished with ten points. Her twin sister Lizzie missed the game with an illness. 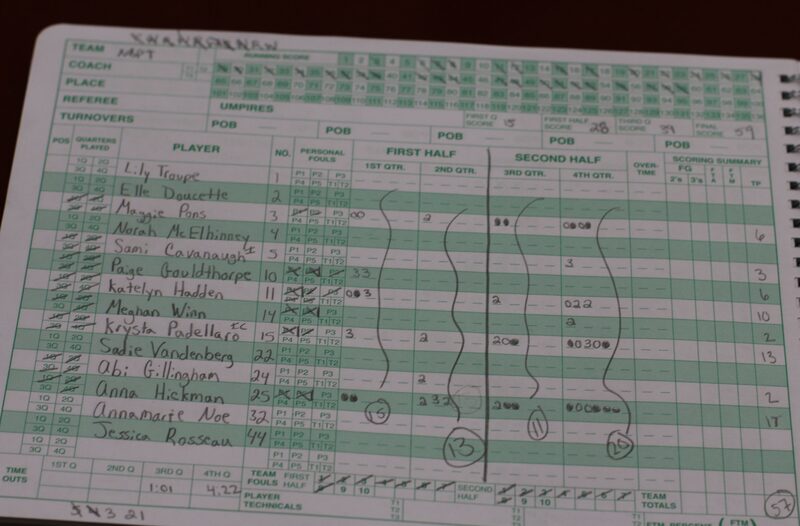 Anna Hickman finished with seventeen points. 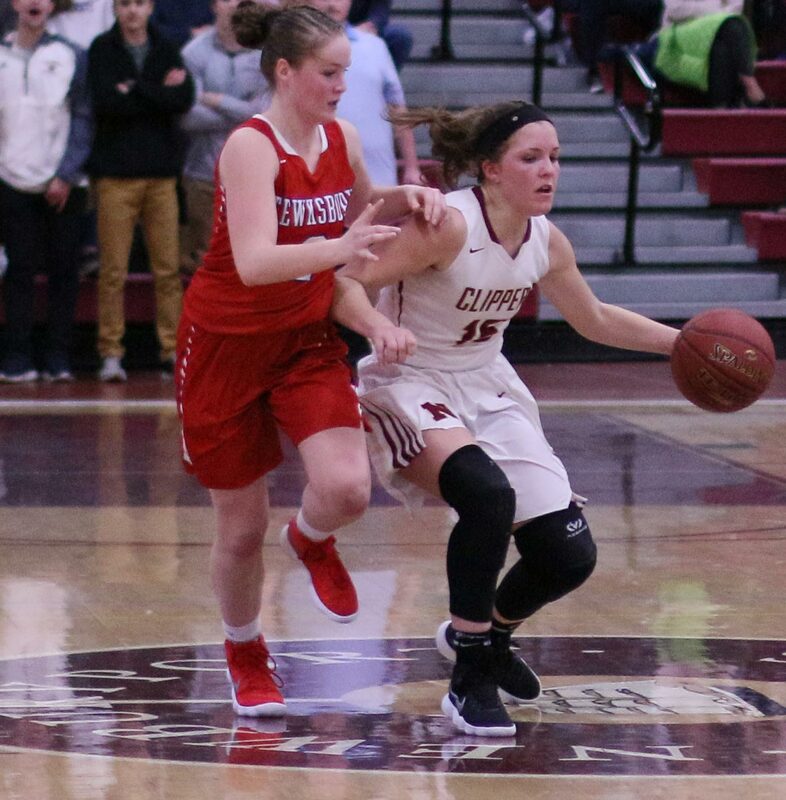 Her ability to make three’s, runners, and layups makes her tough to guard. There were a number of defenses used in this game. 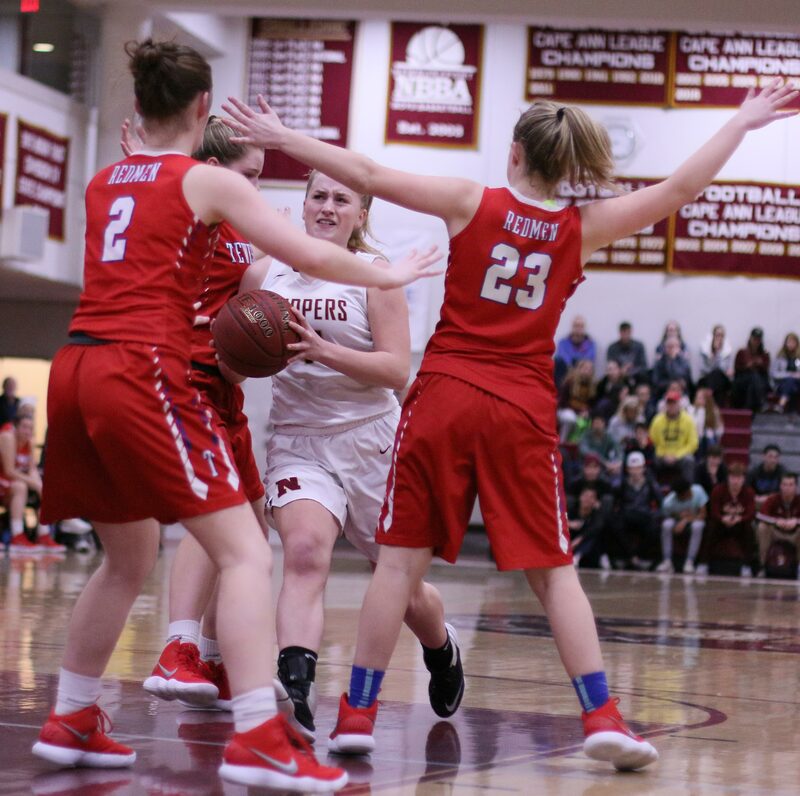 I thought that Newburyport’s trapping defense was the most effective. 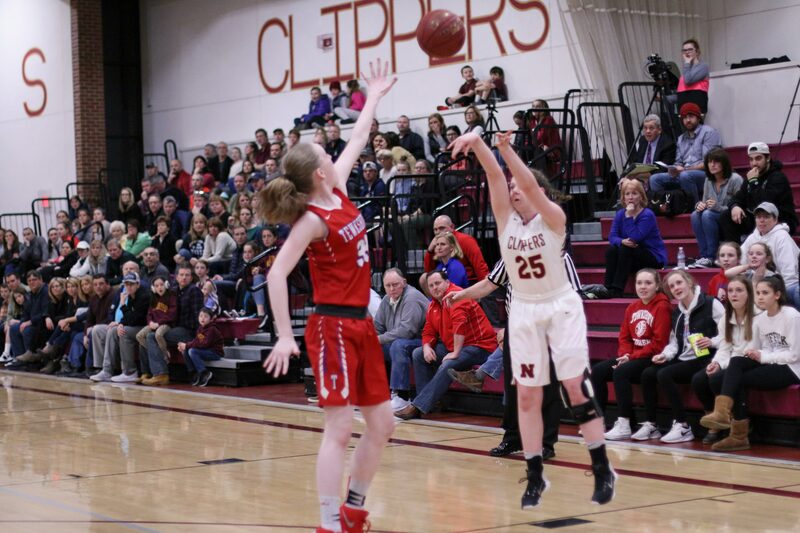 The Redmen had four turnovers after they pulled with two points of the Clippers in the third quarter. 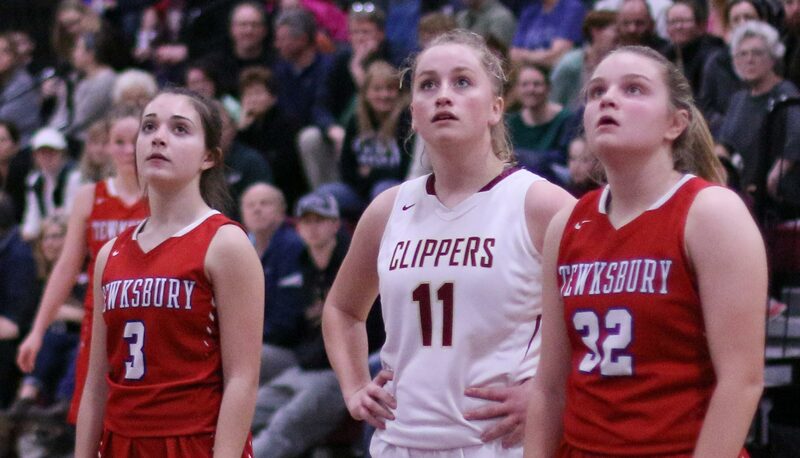 Ahead for Newburyport is Pentucket. “After we lost to them a second time we said we wanted another chance at them and now we’re going to get it,” said Coach Dollas. Hustle play of the game? 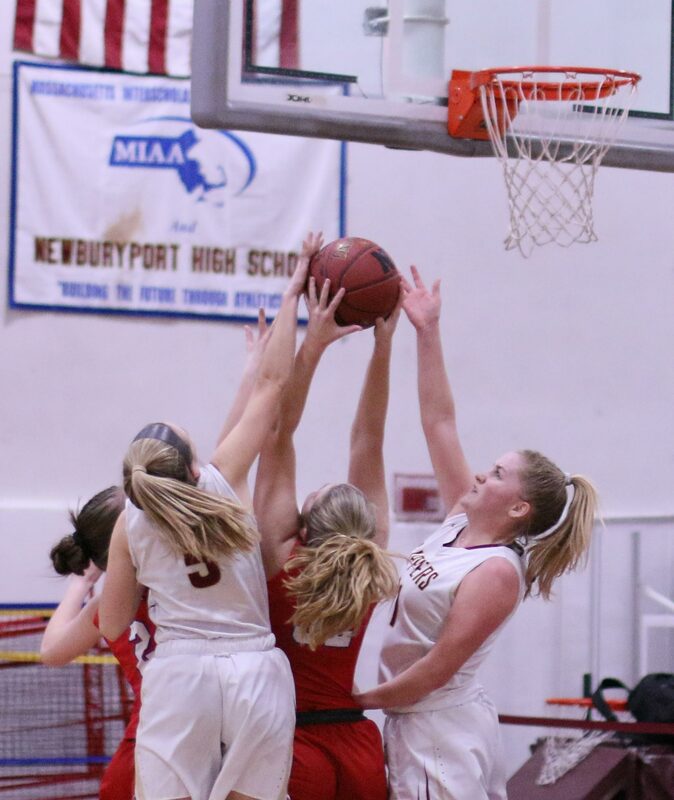 After one of several Krysta Padellaro steals, it looked like an easy layup for Krysta but Haley Mignon raced to the other end and not only deflected the layup attempt but also didn’t foul. Paige Gouldthorpe did a powerful job (as usual) with the National Anthem.